In a recent talk with VG, Harada shared some of that mojo. I think just about everything I’ve ever listened to influenced me in some way. 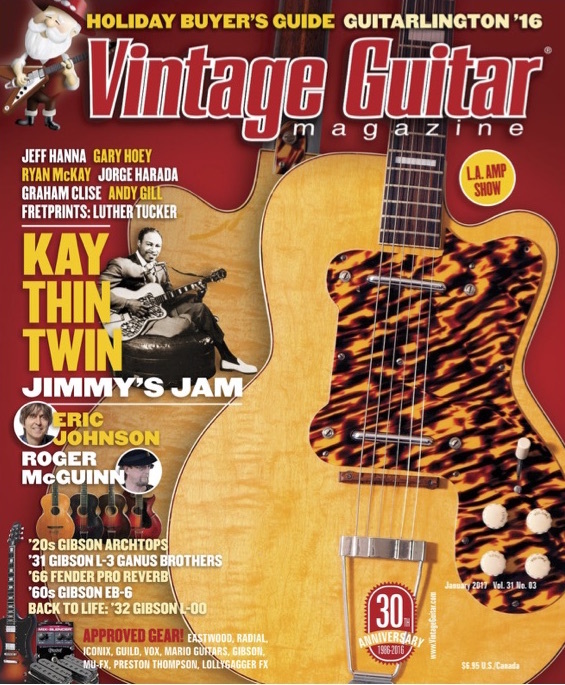 For guitar playing – Billy Zoom, Tony Gilkyson,and Dave Alvin during their tenures in X. The Beat Farmers and the Clash are big faves. It wast through these bands that I discovered Gene Vincent and Eddie Cochran, SUN Records, rockabilly, country blues, and traditional country-western. I love Pete Anderson’s playing with Dwight Yoakam. How did the album’s lead-off song, “Not For Long,” come together? It was pretty organic. Ruby presented the lyrics and sang them to me with the melody line. It’s one of those songs where the entire thing is hinged together on a riff, playing along with the vocal. We tried different key signatures until we got one that sounded right in terms of the structure and her singing range,and we were off to the races! She really wanted a New Orleans rock-and-roll feel for the song.The sax on the recording really makes it. Ditto for the title track? “Little Black Heart” required more finesse.Ruby had the nucleus verse and chorus written; we recorded it onto the laptop so I could work on it. Eventually, I wrote a bridge that was a mini-song that split the song in two; Ruby put some lyrics on it, and it was a leadoff for the solo, which mimics the melody line. DaveBiller played some wonderful textures on the steel guitar that added depth. What six-strings did you employ? Most rhythm tracks were recorded live with the drums and bass using a custom-built Tele-style guitar with DiMarzio Twang King or a Gretsch G6120-DSW with TV Jones T’Armond pickups. Almost all the lead tracks were recorded with a Gretsch G6119 or the G6120-DSW. On “I See Green,” I used a Fender ’50s Classic with Lindy Fralin Stock Tele pickups and a Collins B-Bender. On “Camille,” the lead is a’90s Danelectro U2 baritone reissue.There’s also a ’80s Telecaster Custom with a Bigsby for different textures throughout the record. Since it has a Gibson ABR-1 bridge that doesn’t pivot, it has a meatier, darker tone than your average Tele. Most of the acoustic tracks were done with a Martin D16RGT or D28. We kept it pretty simple. I ran the guitar into the first input on the Normal channel of a Fender Deluxe Reverb reissue; the second input was connected to an Alamo with a 15″ speaker — can’t recall the amp model, but it sounded huge!